London: An Indian-origin teenager was found hanging in the premises of a top UK grammar school as she felt excluded after her classmates did not include her in a WhatsApp group, according to an inquiry into her death this week. 14-year-old Elena Mondal was found by her teachers, hanging unresponsive, at Hampstead’s Henrietta Barnett School in north London last year. Psychiatrist Emily Hallgarten told Barnet Coroner’s Court that the 14-year-old may have felt excluded after her friends did not include her in a WhatsApp group, the Sun reported. 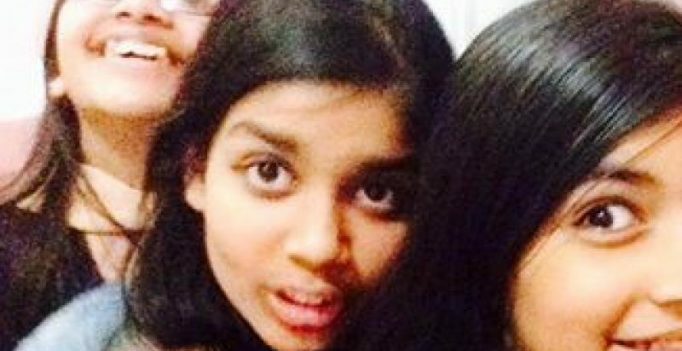 School officials told the inquest how Elena Mondal, who wanted to be a doctor, once fled a classroom in tears clutching a pair of scissors, before collapsing in a corridor and cutting her arms in a toilet. According to the probe the girl’s parents, Shyamal and Moushumi Mondal, had feared that their daughter was being bullied at the girls’ school, which was ranked the top performing state-funded school in the UK in 2016 and 2017. A well-being manager at the school, Kelly Barry, said that the girl had been referred to the school counsellor after missing meals and complaining of depression but had missed several appointments. Consultant psychiatrist Cathy Wainhouse added that Elena Mondal may not have intended to die instead hoping that she would be found by friends before her “dramatic statement” went wrong. The inquest has been put back until an expert psychiatrist can assess reports from the physiological care provided to Elena Mondal before her death. Actor Dhanush has been summoned by the court in the case. Madurai: Aadukalam star Dhanush is in trouble with the Judicial Magistrate Court in Melur….